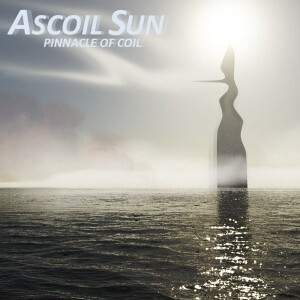 The Australian label Peyotii Recordings presents Pinnacle Of Coil, the debut release by Ascoil Sun (Matti Mikkola & Pasi Salo) from Espoo, Finland. Formed in 2008, the group cites the influence of progressive and psychedelic rock in the development of their otherworldly style of psychedelic dub and downtempo. In the hazy land of the Ascoil Sun live instrumentation will combine with electronics to take you on a psychedelic journey of the senses, transforming throughout the musical story. Guitar and occasional keyboards played by Pasi Salo; keyboards, programming and mixing by Matti Mikkola. Mastered by Felix Greenlees @ Terrafractyl Studios, Australia. ©2010 Ektoplazm; click here to view the original post or read what others are saying about it (14 comments so far).